A tree full of colorful Nuthatches. 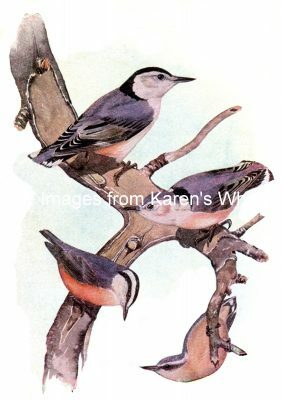 White breasted Nuthatches on the top. Red Breasted Nuthatches on the bottom.